On Wednesday night, I received an award from the Palmerston North Heritage Trust for my book Ravaged Beauty: an environmental history of the Manawatu. “Environmental historian Catherine Knight has won the Palmerston North Heritage Trust’s inaugural award for the best work of history relating to the Manawatu. 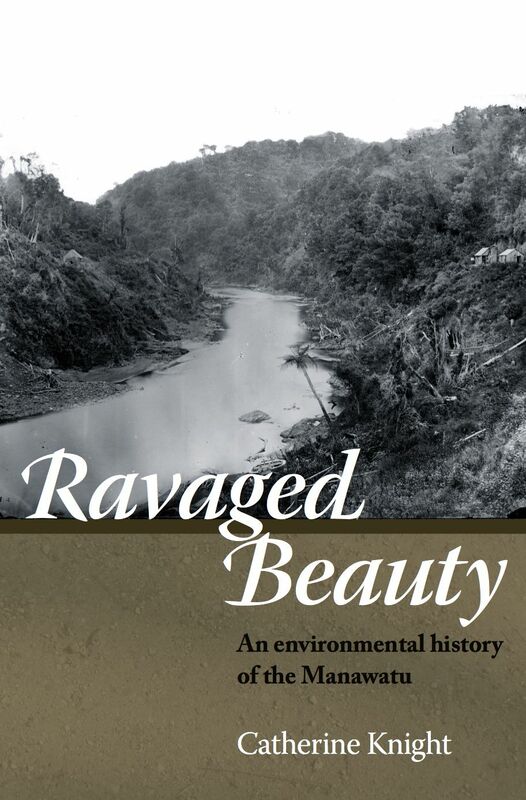 Ravaged Beauty: An Environmental History of the Manawatu was described by co-judge Jill White as an outstanding winner from the 2013-14 publications considered. Intensively researched and engagingly written, Ravaged Beauty is also extensively illustrated and beautifully produced. The book focuses on the Manawatu and its transition from heavily-forested hills, terraces, with lowland swamps and terraces to the farmed and peopled Manawatu we know today, but is of much wider national significance for the range of issues it covers. In making the award, the Heritage Trust judges took account of all these features, and Trust members were delighted to see the first award going to a volume of such high quality. Previous Article How does environmental history bring hope? Congratulations on the Award Catherine. It must be especially satisfying to be recognized by your community for the work you’ve done on their place. Well done. Congratulations Cath! You work so hard and truly deserve the award!